Joint pain is one of the most inconvenient signs of aging. No matter how well preserved we look on the outside, it’s those lingering soreness that gives our age away when we try to move too fast or stay in a certain posture for too long. While age is one of the major factors causing joint pains, lifestyle also plays an important role. More often, people who work on offices, seating all day, feel the onset of joint pains earlier than those with more active lifestyle; a person’s weight, or being overweight per se, also increases the risk for joint problems earlier in life. Joint injury, a fairly common injury, especially with athletes, can also spark the beginning of joint issues. As we all know, pain, regardless of whichever part of the body, sets limitations to the things we can do. Since joint pain, once it started, is usually permanent, pain medications may not always be a practical mode of treatment for long term. 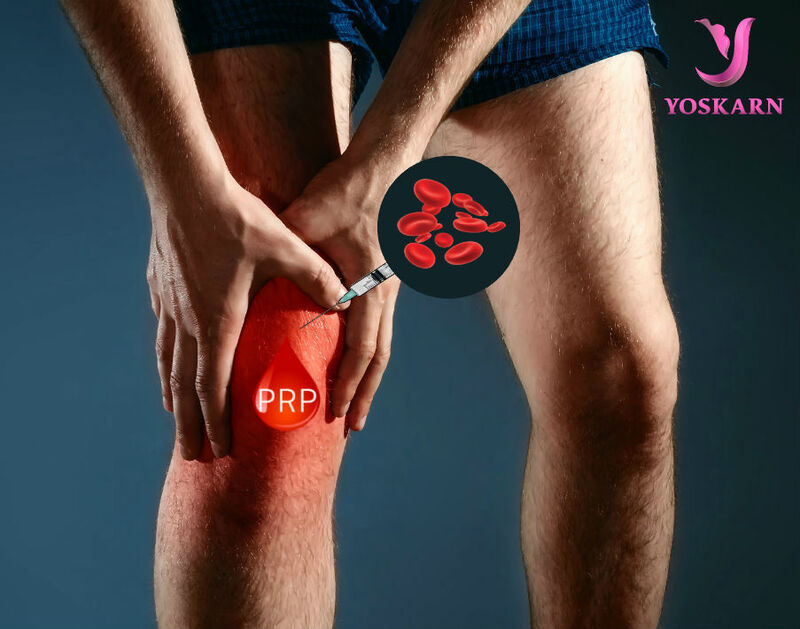 At Yoskarn Clinic, our center offers PRP (Platelet Rich Plasma) injection for the specific joint/s affected. PRP is plasma with high concentration of platelets and therefore growth factors. These growth factors have been used for several regenerative purposes from cosmetics, to functional medicine. In terms of joint pains, PRP in Thailand, had been highly regarded not just by researchers, to be highly effective in improving the condition of the affected joints. It can be used in treating osteoarthritis, tendonitis, and other cartilage defects. The treatment not only helps in alleviating pain, but patients also report increase in range of motion for the area (especially for older patients). The procedure is quite simple, starting with drawing of the patient’s blood. This blood is then processed to separate the plasma. The plasma is then activated to further improve its effectiveness once injected on the affected site. While the injection proper may be a bit uncomfortable, there is basically no downtime after the treatment. A certain degree of swelling and pain is normal (like when you receive an intramuscular injection), but it is not limiting. The whole process will take about 60 to 90mins and patients can go around immediately after. Should you need more information about the uses of PRP (Platelet Rich Plasma), contact us now!